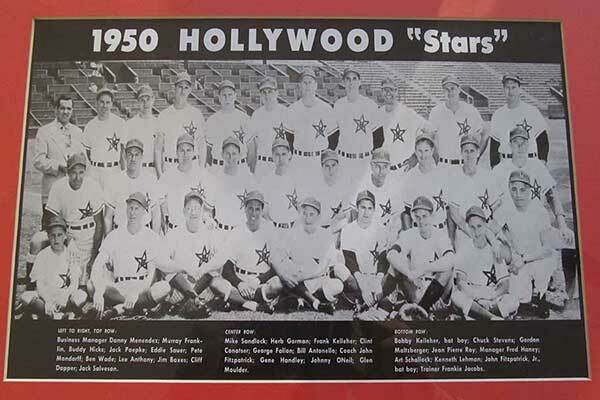 The Hollywood Stars were a Pacific League baseball team. During their final years they played at Gilmore Field (as in Gilmore Oil and Bank the original landowners of the Farmer’s Market area). Gilmore Stadium was completed in 1934. Besides hosting the Hollywood Stars, Gilmore Stadium also featured boxing and drag racing. This was a popular place to take dates. The Hollywood Stars originally came to Los Angeles in 1926. They played at the Wrigley Stadium in Los Angeles until 1936 when they were moved to San Diego to become the Padrees. They came back to Los Angeles in 1938. At that time one of their owners was Bob Cobb of the Brown Derby (the inventor of the Cobb Salad). During this incarnation of the team their owners also included real Hollywood stars such as Bing Crosby, William Frawley, Cecil D. Mille, and Barbara Stanwyck. 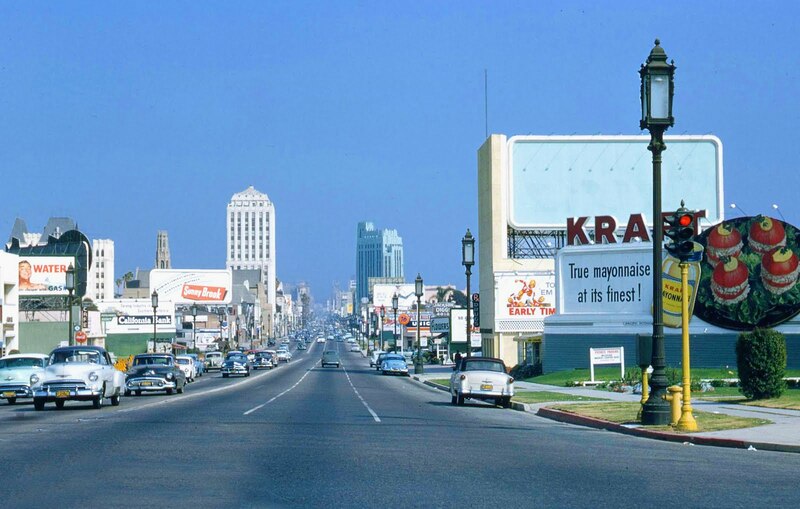 The Hollywood Stars’ final demise in the Los Angeles area is linked to their 13,000-18,000 seat stadium being sold to build CBS, Fairfax District in 1957 as well as the Brooklyn Dodgers moving to Los Angeles in 1958. The Hollywood Stars moved back to Salt Lake City in 1958 and became the Salt Lake City Bees. Close to twenty years ago, having never heard of the Hollywood Stars, I purchased this image and framed it.